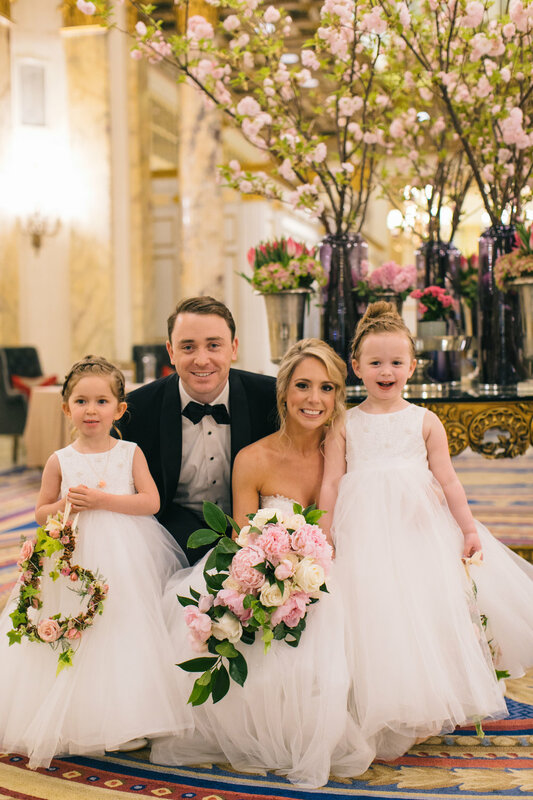 This beautiful Boston wedding at the Fairmont Copley Plaza featured a blush palette with soft notes of pink and ivory. 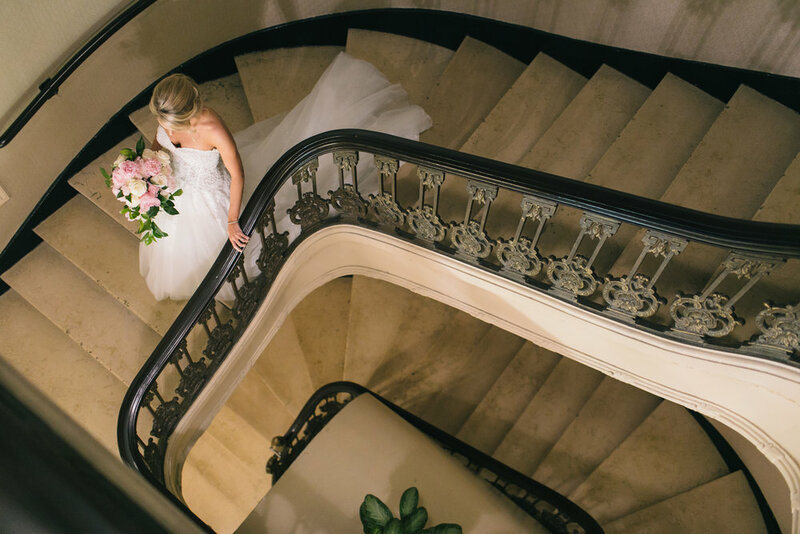 Cascading greens gave the bridal bouquet a natural feel mixed with lush pink peonies and soft ivory roses. The bridesmaids carried bouquets of roses and sweet pea. 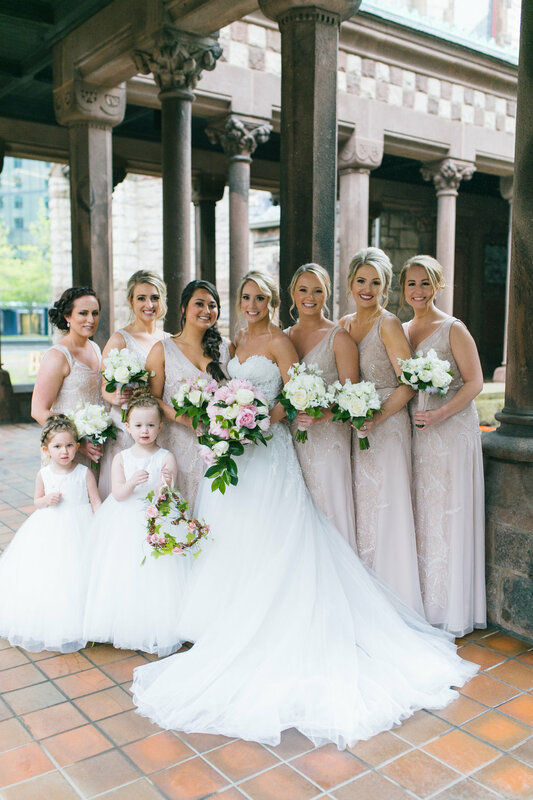 Their all-ivory bouquets looked gorgeous against their powdery blush dresses. At the reception, gold pillared centerpieces dripped with ivy and lemon-leaf, filled with roses, peonies, and white apple blossoms. Low centerpieces had the same mix of blossoms and glowed next to mercury glass votive candles. It is always a pleasure to work with some of our industry favorites. 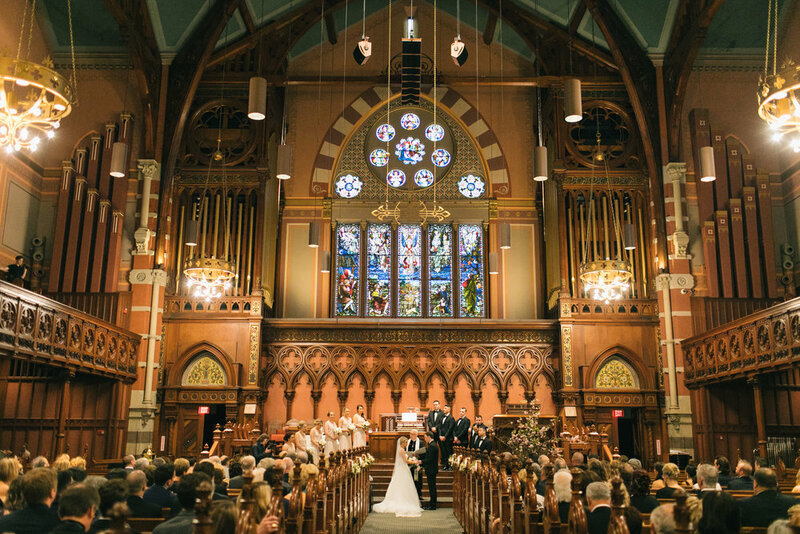 Beautiful images by Zev Fisher Photography. Much thanks to the team at Fairmont Copley Plaza.